Love is in the air every February the 14th and we have the perfect range of packaging solutions for this special day. We have a large selection of Valentine's packaging available off the shelf. 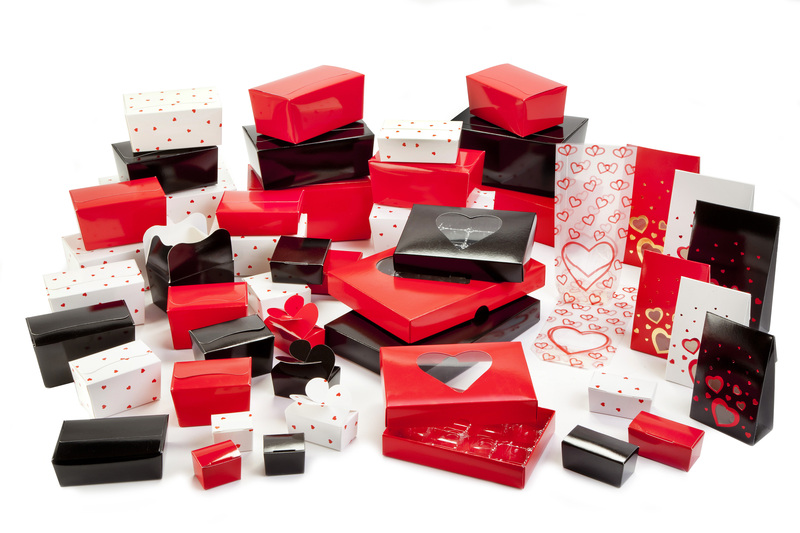 All of our Valentine's & Love gift boxes, ribbon, gift bags and ballotins are ideal for wrapping gifts for someone special. Since Valentine’s Day is all about showing you care, wrapping your valentine gifts in a beautiful fashion is especially significant. Our selection of loved themed gift boxes, bags, and ribbons can help anyone achieve a special look for their Valentine's gifts. Remember that our products are ideal for all year use,whether it is for wedding table favours with our ballotin range or love theme crackers for your loved one at Christmas. Playful in parts, elegant in others, the love range offers an option for everyone when there is love in the air. Our decorative packaging expertise allows us to create some of the most eye catching Valentine's packaging designs for Europe's premium chocolatiers and high-end retailers every year and you're sure to have handled packaging produced by Meridian for an Valentine's order.